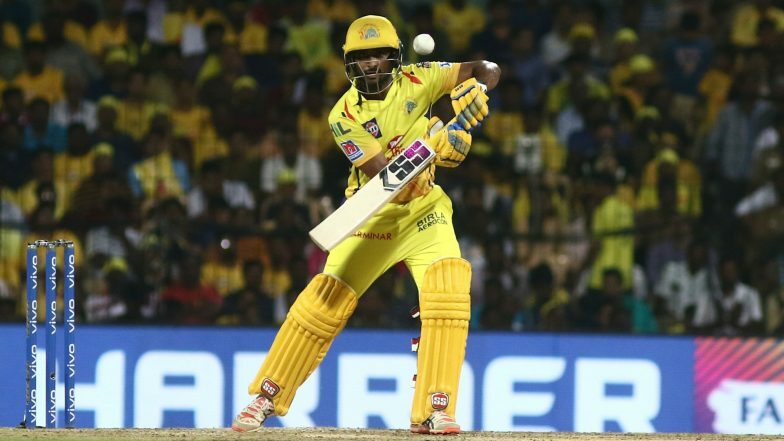 Hyderabad, April 16: Having missed the World Cup bus, Ambati Rayudu will be aiming to make a statement when a marauding Chennai Super Kings take on a desperate Sunrisers Hyderabad in an IPL encounter here on Wednesday. The World Cup snub to Rayudu is the sole sole disappointment in an otherwise superb tournament so far for Mahendra Singh Dhoni's men as they are just a win away from clinching the play-off berth. Ambati Rayudu Left Out of Team India for ICC Cricket World Cup 2019, Check Full 15-Man Squad. While CSK sit pretty on top of the table with 14 points from eight games, Sunrisers' have suddenly gone off the boil with a hat-trick of defeats, including an inexplicable batting collapse against Delhi Capitals in their last game. What has been CSK's strength despite an ageing team has exactly been Sunrisers' bane in the matches that they have played so far. While CSK have had plans A, B and C for various situations, Sunrisers have failed miserably whenever their their opening pair of Jonny Bairstow and David Warner have failed to perform. Barring Warner's 400 runs and Bairstow's 304 runs, the next best is World Cup bound Vijay Shankar's 132 runs. The basic problem has been the middle-order where Manish Pandey (54 in six games), Deepak Hooda (47 in six games) and Yusuf Pathan (32 in six games) have been miserable. ICC Cricket World Cup 2019 Schedule in PDF: Ticket Prices, Dates, Venue Details & Timetable Available for Download Online. In fact, Pathan has been surviving on past reputation for years now has not played a match-winning knock for a while now. On the other hand, Dhoni has played various combinations depending on surfaces and more often than not, his teammates have responded pretty well. Whether it was Harbhajan Singh on a very slow Chepauk track or the restrictive Mitchell Santner in away games, most of Dhoni's strategies have paid off brilliantly. The man who has been a revelation for CSK this season is 40-year-old Imran Tahir with 13 wickets. The South African import has executed his skipper's plans brilliantly. For Sunrisers to remain relevant in this edition, they need to stop the CSK juggernaut which looks easier said than done.